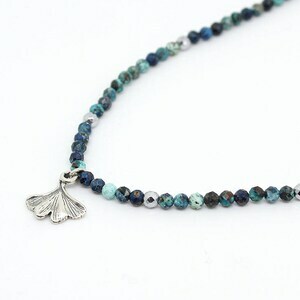 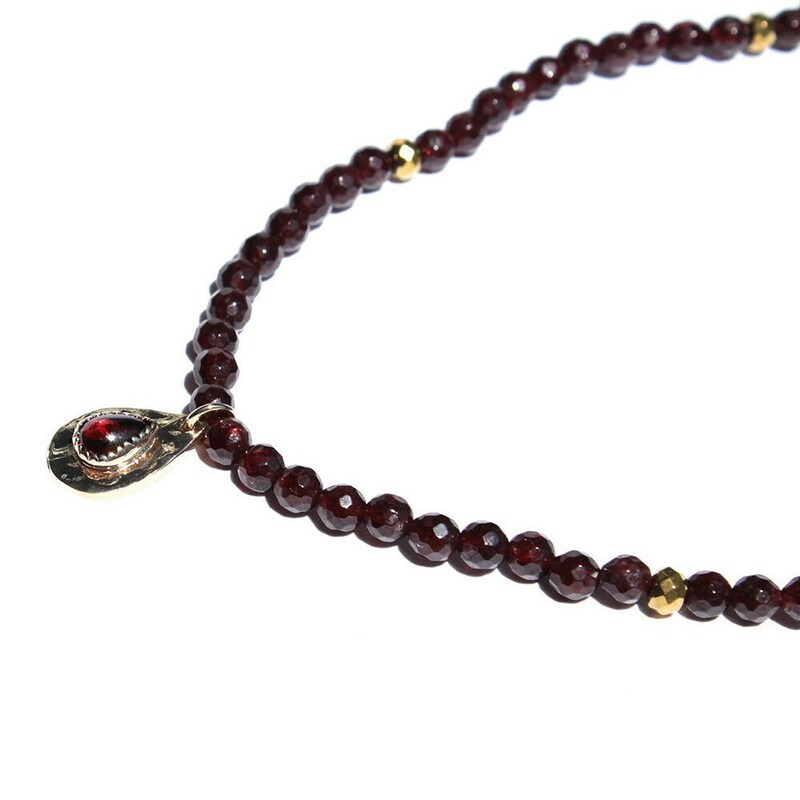 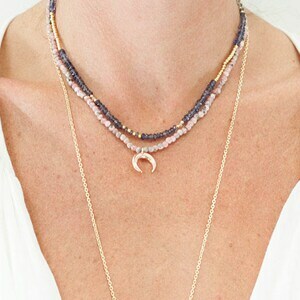 necklace made of Garnet gemstones and hematite. 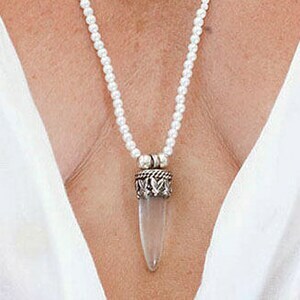 in the Center a pendant drop. 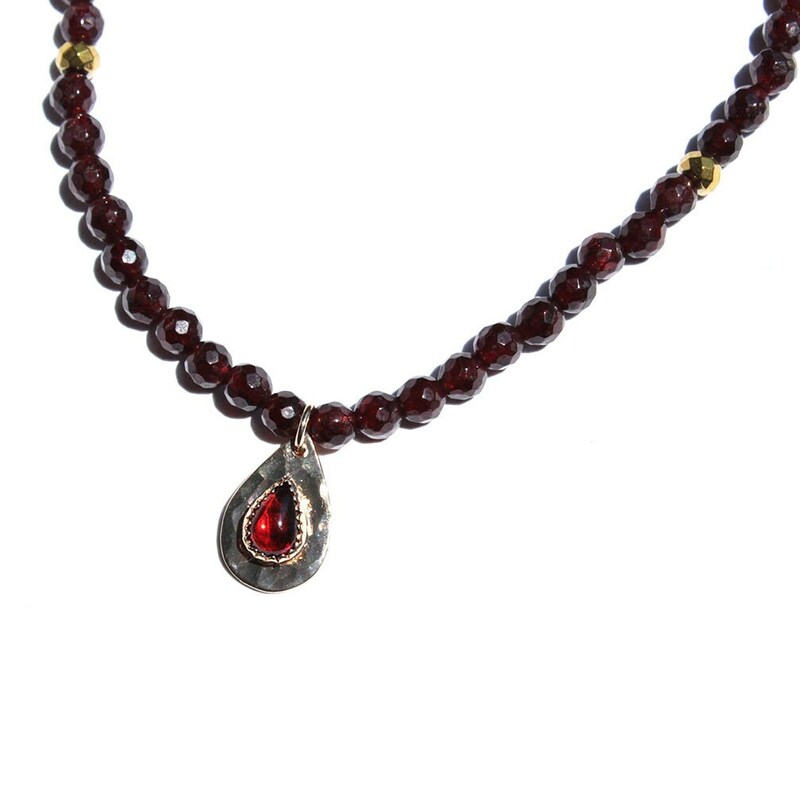 There is a Garnet set in the center of the pendant. 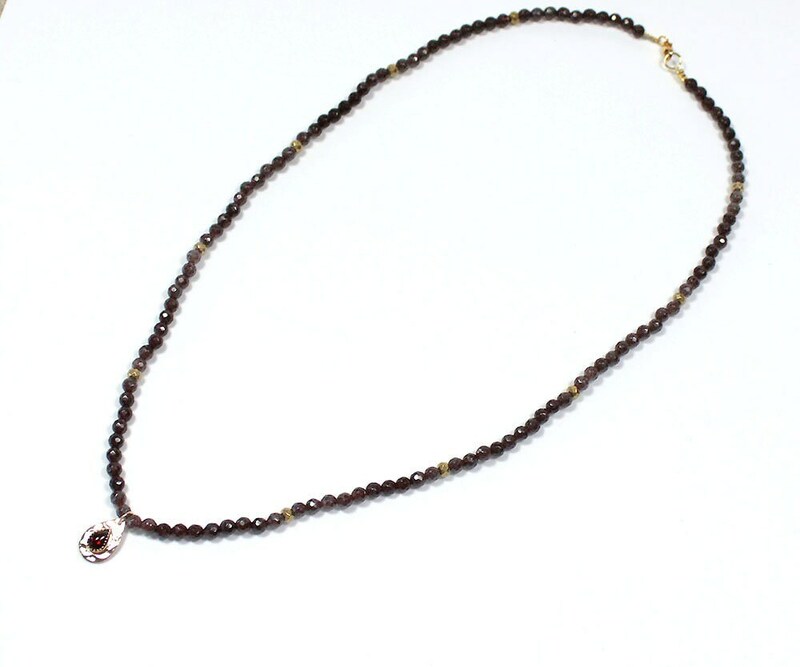 the Garnet is a stone that can be worn in summer and winter.